Your evening commences with a cruise on a lovely traditional handcrafted Chinese junk boat. 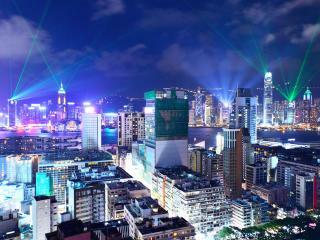 Cruising around the main island relish incredible views Hong Kong’s magnificent skyline and world-famous harbour. On disembarking travel to the highest point in Hong Kong for dinner at Bubba Gump's restaurant. Dine and enjoy the great cityscape and harbour views. The restaurant is themed on the movie “Forrest Gump” and on display is actual memorabilia and still-photos from the Hollywood classic. After dinner trip down the famous Temple Street Night Market to snap up a bargain. Although not as famous as Hong Kong, Lantau Island is almost twice the size of its more illustrious neighbor and is one of the most loved outlying islands in the vicinity because of the wealth of its attractions and the natural beauty of the landscape. You will be amazed at the lush green mountains and the wide open space of this idyllic island which allows us to get up close and personal with nature. 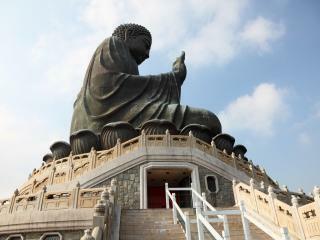 During this tour enjoy a walk along the beautiful Cheung Sha Wan Beach, visit the fishing village of Tai O and see the giant Tian Tan Buddha at Po Lin Monastery. Spend some time exploring the vibrant Ngong Ping Village before enjoying a skywards bound cable car ride. 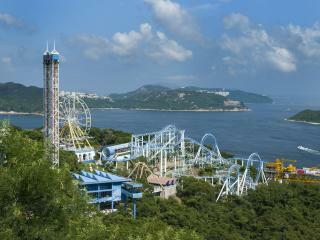 Ocean Park Hong Kong is one of Asia’s must see theme parks - featuring a fantastic array of sea and animal exhibits. Opened in 1977, the attraction is world class with sea and other animals on display, thrill rides and shows that offer guests an experience that blends fun with education and conservation. 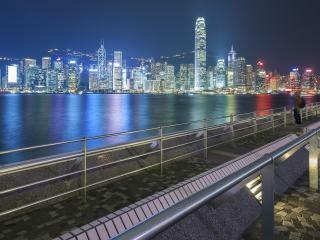 It is located on the southern side of Hong Kong. A visit Cheung Chau Island provides you with the opportunity to explore nature's beauty and thousand year old temples, leaving you with an appreciation of the regions traditions and customs. See Cheung Po Tsai Cave which featured in Pirates of the Caribbean and Pak Tai Temple which contains gold-plated woodcraft and iron swords from the Qing and Song Dynasties. 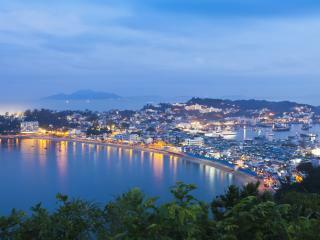 This tour provides travellers with an informative half-day orientation into Hong Kong. 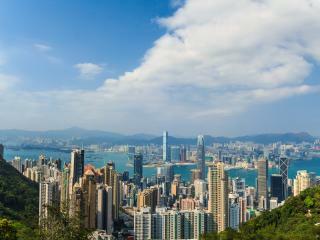 Highlights include the Peak for stunning views of the city and outlying islands; a chance to barter at Stanley Market; and tours of Repulse Bay and Aberdeen. One of the best ways to experience Hong Kong is to take to the water to enjoy outstanding 360-degree views the majestic harbour and impressive skyline. On board the vessel, relax and enjoy drinks and a stunning light show as the skyline is illuminated with lasers, coloured projections and searchlights.